Electric cars may not be as green as you might think. The YouTube video tries to debunk this myth. It tries let consumers know that there is lots of room to do more work before they really make a large contribution to the environment. Check out the video after you finish reading this post. Make up your own mind regarding whether it is the right thing to do. Are Electric Cars Really Green? Based on the analysis that is portrayed in the video referred to above, all electric cars are not as great at reducing emissions as everyone thinks. Yes when you operate the car there are no emissions. 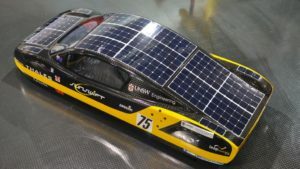 But, the cost in terms of environmental impact of producing the batteries can be high. Also producing the electrical power to charge them is almost the same as a traditional gas powered car. Burning coal, oil and natural gas to produce electricity causes a great deal of pollution. Wind energy and solar panels are better but not as much as you might think based on the analysis. The writer notes that the analysis did not take into account such issues as the impact of nuclear power, battery efficiency improvement, car breaking regeneration, improvements in electric cars over the next 10 years and other alternate power sources for electricity. Also who funded the research and are there any biases built into this analysis? The bottom line is that the electric car business is still in it’s infancy and will have many new developments over the next 10 years and will get even better than it is today. So yes, it does not save us in terms of pollution today, but will it with improvements over the next 10 years. Time will tell. A friend of mine just told me that he had to take his dad’s car because he could no longer drive and he had lost his license. It was actually a sad day for both of them. Recognizing that his father had lost his independence and needed more help was tough. It was even tougher for his father who now must rely on others to get around or take a taxi from time to time. This is where we think that self driving cars for senior drivers could be a solution to the aging problem for seniors and baby boomers in general. My friend’s father has already lost his license! Does this mean that if he owned a self driving car, that he could not operate it even though he was technically not driving? At the present time as we understand it, you must be able to take over the car and drive it in emergency situations. If you do not have a license, would this mean that he could not own a car or operate a self driving car? A self driving car would certainly provide him with a degree of independence that he would not have. Many seniors facing this reality are very concerned about being able to drive, to get out, to buy groceries and to enjoy some entertainment. They do not want to be stuck in their homes. It will be a few years yet before self driving cars are on the road in any large numbers, but this writer intends to have one sometime in the next 4 or 5 years! I love new technology and as a baby boomer, this car will likely drive better than I could in later years. So why not be safe and drive a driverless car. Or should we say operate a driverless car? Self driving driverless cars for disabled consumers could bring a new level of independence! Imagine, your disability has prevented you from ever driving a car. With the introduction of this new technology, suddenly you can purchase a car that will drive you from point A to B and you do not need help from anyone, depend on a taxi or take a bus. This technology really has the potential to revolutionize car driving for disabled people, seniors who are uncomfortable driving and anyone who just wants to relax while traveling. But there are lot’s of hurdles to overcome and it may be a few years yet before this is a real possibility. The technology still has a little ways to go. Google’s self driving car has over a million miles on it and most if not all car manufacturers have research and development projects to perfect this concept. 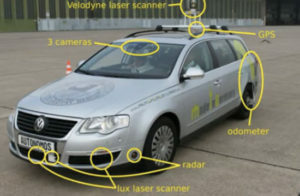 It may be another 4 or 5 years before we see driverless cars on the roads, but they will be soon. It is far more problematic to deal with the insurance and liability issues. Every city and government is struggling with how to handle the issues of a driverless car. 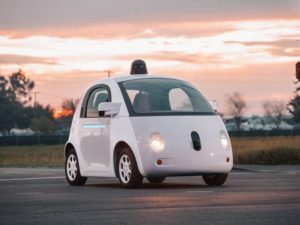 Can anyone purchase and operate a driverless car? Do you need to have a driver’s license? Who is liable in accident? The owner, the car manufacturer, or the software supplier that is controlling the car? What about hacking the car? There have been reports of so-called smart cars being hacked already. The hacker has taken over the car, the brakes etc and even stopped the car on the side of the road. This is another major area for manufacturers to think about and deal with. Self driving driverless cars for disabled consumers would have a huge benefit for this segment of our population. Will they need to have a special drivers license? Will they be able to obtain insurance? There are lots of bureaucratic issues to be resolved before this happens. Rest assured that driverless cars are coming and these issues will get solved over time. The new Chevy Volt for 2016 will allow consumers to drive 53 miles on electric power before the engine kicks in and begins generating electricity to drive the power train. This is a 40% improvement over older models. This upgrade provides consumers with the ability to do most of their daily driving on electric power. The batteries can be recharged at home. Or they can be recharged by the engine. Either way the consumer is saving money and will not need to fill their gas tanks as often. In fact some consumers report with the existing Chevy Volt that they go for months without needing to refill the gas tank. Over the next few years there will be more improvements in efficiency as well as battery technology. This improvement means that consumers can expect an average of 42 miles per gallon when powered by the engine compared to 38 for the current model. In addition there is no cost other than the cost of electricity. The Chevy Bolt will also be upgraded. It will be available with electric power only in 2017. It will run approximately 200 miles before needing to be recharged. 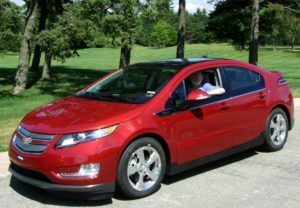 The volt has won awards and the new models are expected to continue this tradition. With lighter materials and better drive systems, consumers who commute to work short distances may seldom need to refill their gas tanks with gasoline. We happen to think that the next five years more and more improvements will be introduced. They will make it so tempting to purchase an electric car. In fact the writer feels that their next car will be a volt model. Our current vehicle gets good mileage and has a few more years to run before it should be exchanged for another vehicle. Electric cars and also hybrids are becoming more popular. More models are available and the charging infrastructure is gradually improving. However charging stations have a long ways to go before they begin to approach the convenience of gasoline and diesel fueled vehicles. So what should you do, electric or hybrid – buy now or wait a while longer. There are a number of variables that we think that most owners will consider before they make a decision. These new style of cars regardless of whether it is an all electric vehicle or a hybrid vehicle. Personally when the writer looked at these set of variables, we opted for a traditional gasoline fueled car that is very efficient on the roads. So what are the variables that you should consider? Price – is still a major factor with most hybrids and all electrics still higher than their gasoline counterparts. Operational costs not including maintenance are of course lower. Range – Electric vehicles simply do not have the range so if this is an issue, you may want to consider a hybrid which can obtain much better range at highly efficient levels in terms of miles per gallon. Charge – although most can be 80% charged in 30 minutes, availability of charging stations and cost of upgrading your power plug at home is an issue for many people. 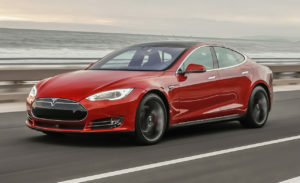 Power – with direct drive electric motors, electric cars produce excellent acceleration compared to similar models in the hybrid and traditional area. Convenience – charging is an issue, the cars are smaller and not having to find a gas station to fill up when all of your trips are short in nature. Take this into account if you are planning to use it for anything more than commuting. Upgrades – all cars are being upgraded every year, but electric cars are very computerized and now you may need regular software upgrades, firmware upgrades as part of your normal maintenance. Check out all of the numbers as well as your personal needs and use. Before you make that big ticket decision about electric or hybrid vehicles. We opted for a traditional late model car that is fuel efficient and takes regular gasoline. We think the industry has a way to go before these cars and technology is mature. GM announced at CES this year that they will be releasing a major upgrade to the Volt at the Detroit Auto Show. The CES announcement of the new Chevrolet Volt is just the first salvo in the effort to maximize advertising of their latest upgrades and improve sales. GM has not announced all of the changes that are coming with the new Chevrolet Volt. There are rumors of improved range, performance and other refinements. They hope will contribute to increased sales. A new T shaped battery that weighs 30 pounds less and stores 20% more energy. A lower center of gravity to contribute to better stability. Two electric drive motors instead of one large one. Improved aerodynamic styling. A new 1.5 litre four cylinder engine to power the generator. The system should operate 12% more efficiently and weigh 100 pounds less than previous models. No news on improvements to the electric range of 40 miles. There is also an expectation of improved mileage from the current average of 37 mpg. They have a long way to go to catch up to the Toyota Prius which boasts over 50mpg combined. We recently checked out the Toyota Prius. It turned out that not only could I not buy one, I could not even take one for a drive in our area. They are popular and sell out quickly. The Chevrolet Volt has still some maturing to do. They have only been on the market for 7 years compared to 15 years for the Prius in North America. With one or two more major updates, the Chevrolet Volt might just be the car that wins the day in terms of total sales. With the combined electric drive, gas powered support and the ability to recharge the batters from the electrical grid, it offers flexibility that other electric cars including the Prius do not. Time will tell. let us know your comments. There are lots of alternatives to pure gasoline powered cars. Fortunately there are more and more of them available on the market for consumers. Some are not priced well as of this writing. In other words it is still cheaper to buy a gasoline powered car than it is to purchase a hybrid or an all electric car. But once they are mass produced, the prices will cone down a great deal. Aside from the extra cost of many of these different power trains, the savings are simply not enough to push consumers to purchases these cars on a mass basis. Over time confidence will grow as more and more people buy them and use them. There will become clear winners as well which will be based on maintenance free driving. As well as strong support when there is a problem that must be fixed. A new car power train that provides great mileage can fail as a product. If support for repairs are less than consumer expectations. As a result right now we are still in the experimentation phase for “all electric vehicles”. Hybrids are well on the way into mass production. For example the Toyota Prius has been around for many years and continues to provide excellent operational characteristics. One of the major challenges is the battery. The cost, the longevity and the distance you can go on a single charge, not to mention how long it takes to recharge. Then there is the issue of where you will recharge the battery. As a result more and more battery charging stations are appearing. Many more are planned over the next few years. The next five years will show us many more new developments. It is an exciting time for car development. Hence some of the above types of power trains are clearly too far in the future. As a result they will not be developed any time soon. Some will just not be economic. Subsequently they will be given up in favor of other types of power trains. The future is exciting and yesterday Google made a big announcement. They will have a driver less car on the road in 2015 that can be purchased by consumers. Most noteworthy is that Google has not achieved this objective as of 2019. There are two big negatives when it comes to purchasing electric vehicle today. When will electric cars be economic and what are the factors that are controlling the time for payback. The first and foremost is the cost of the vehicle. It is often typically $10,000 more than the same size car. Even the same model that is gasoline powered. Another factor that troubles many consumers in addition to the increased cost, is the distance that you can drive. An electric vehicle before needs the battery to be recharged. The other issue of course is once the battery is discharged how to charge it and where can you plug it in. These issues are being addressed by the industry through a number of initiatives. One is to decrease the cost of the lithium battery. Secondly to install plug-in charging stations on major highways across the country. This post will discuss the changes in prices for lithium batteries. Today’s gasoline powered car engine costs about $2000. An electric lithium battery will cost about $600 per kilowatt. A typical electric car will require a 20 kW battery making the cost of the battery about $12,000. This is $10,000 more than what the gasoline powered car engine costs. Electric vehicles are still very expensive. Compared to gasoline powered vehicles. Electric lithium batteries will drop in price from $600 per kilowatt down to approximately $300 per kilowatt in the next few years. This will save roughly six thousand dollars off the cost of an electric vehicle. And make it much more interesting to the consumer. In the next 10 years by 2020, the expected cost of a lithium battery will drop from $300 per kilowatt down to approximately $100 per kilowatt. Making it compatible price wise with the $2000 car engine. We expect that by 2020 electric vehicles will be significantly higher sales than they are currently at this point. In time due to the drop in cost for lithium batteries and also the fact that the cost of driving an electric vehicle is far cheaper per mile than a gasoline powered vehicle. In addition to enabling electric vehicles, the development and improvements to the lithium battery will have profound impacts on many other industries as well. A lot of people can see that electric cars are much more inexpensive to operate. Due to the lower cost of electricity as compared to the cost of gasoline on a per mile basis. However everyone is still scared off by the inconvenience of finding a place to recharge your vehicle. Or worse completely draining your batteries and being stranded somewhere on the side of the road. Still, the advantages of electric cars includes that it makes sense for government and industry to find a solution to make this work, because we are polluting the earth and we are over heating the planet. 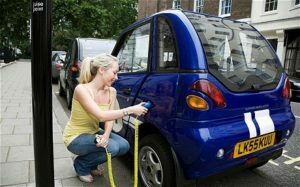 What are the advantages and disadvantages of electric vehicles? What are the solutions that need to be focused on in order to remove or reduce some of the deterrents to the consumer accepting the electric vehicle as a solution. The obvious one is that the electric vehicle is more efficient than gasoline powered cars even when you take into account that most of the electricity is generated from coal or oil fired plants. On a per mile cost to the consumer the electric vehicles are winning hands down at the present time. As power consumption increases with more electric vehicles on the road, the costs may increase, but then so will the costs of gasoline so there will still be a differential in favor of the electric car. Cars with backup gasoline powered engines such as the Chevy Volt and the Toyoto Prius are ideal for electric vehicles. The gasoline engines and the brakes recharge the car’s batteries and if they run too low, then the gasoline engine takes over. The Prius works a bit differently in that in heavy demand and at higher speeds the electric motor and the gasoline engine works in tandem to power the car. Environmentally at least locally you are not spewing pollution from a tail pipe into the air and hybrids are spewing less pollution than traditional gasoline powered cars. With the electric cars being more efficient overall, there is less pollution as well when you consider the pollution generated at the electrical coal fired plants. Noise is much less with an electric car as well. Whether sitting at a stop light or accelerating there is virtually no noise generation at all. In many cities across North America, hybrid and electric vehicles are allowed to drive in HOV lanes as an incentive to move to the more efficient hybrid or electric vehicles. Some people are concerned that today’s electric grid cannot handle the increased use of electricity. And yes, today’s grid probably cannot. However if the demand increases in a gradual way since the penetration of electrical vehicles will be gradual as well, then the grid has time to respond with more plants and distribution networks. There are just not enough plug in spots available to plug in your car and recharge it. Some parking lots are even afraid they will need to rewire their parking garages to accommodate these cars at some cost. Some consumers feel they are getting ripped off if a visitor plugs in their car. What will it cost if they recharge their batteries while visiting. Range of the current vehicles is still an issue for pure electric cars. The hybrids have their gasoline engines to fall back on. Basically you will need to charge your batteries every day. You must also plan your trips around recharge points for the all electric vehicle. Charge time is another issue to consider. If you are charging overnight there is no problem. On the other hand if you have to wait an hour or two to recharge this can be a big chunk out of your day. Fast charge stations cost a lot to install in your home. And 120V charging systems will take all night to recharge the batteries. Electric vehicles are still more expensive to purchase than their gasoline powered counter parts. However as they become more popular, prices will decline through assembly line production. Everyone is very concerned about how long the batteries will last. Usually the car will last much longer than the battery. Consumers are faced with buying a new battery at considerable expense. A gasoline engine, if looked after will last the life of the car quite easily. Also if cars are charging at night when usage is traditionally lower, then the grid is not impacted as much. Time of day rates will push more and more people to charge their cars at night as well. At least now we know what the problems and issues are. As they are solved one by one, these all electric vehicles will become more popular. Gradually over time they will become the mainstay of our transport solution. You have probably heard all kinds of figures quoted and bandied around about the new electric cars. The Volt is one of these cars that is now out on the market. We were wondering what it really does cost to drive one of these cars. How do they compare to the traditional gasoline cars. We have always been able to depend on EPA fuel standards to tell us how cars compared in using gasoline. But what about electric vehicles. There are three kinds of vehicles now. The standard gasoline or diesel driven vehicle. There are the hybrids that have both gasoline and electric driven power trains. Then there are the pure electric cars that need to b charged every night. The Volt is supposed to get 99 miles per gallon equivalent, while the Nissan Leaf gets 93 MPGe. These figures come from recognized government agencies who look at this kind of thing and provide a way for us consumers to compare one type of car with another that has a totally different power source. When a car like the Volt is running on electricity it is supposed to be able to get 99MPGe, however it can only do this for an estimated 35 miles on a full charge. After that the gasoline engine takes over and provides power to the batteries which takes the cost up and the MPGe down to approximately 37 MPG. Depending on the mix of driving you do on average this combined number will vary a great deal. Again the government people suggest on average a driver should expect 60MPGe. This number will vary greatly depending on your driving habits. For me it all comes down to dollars. 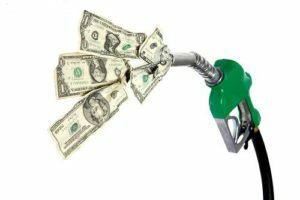 We can figure out what the cost per mile is for a regular car simply by taking the total cost to fill up a tank full of gas and dividing that by how far we can drive on that tank of gas. Some people will go further than others based on their own driving habits. Consumers can figure their own personal numbers out on their own. The same applies to hybrid and pure electric vehicles. Monitor your electrical usage and the associated cost. Next divide the cost by the number of miles you can drive or have driven and you will have a valid comparison of the cost per mile. Fortunately the experts have done this for us and we do not have to track all of these numbers. It appears that a Nissan Leaf would cost about $561 a year if driven 15,000 miles. A Nissan Versa which is a similar sized car power by gasoline is going to cost approximately $1444 per year if it is also driven 15000 miles. This is a savings of almost $900 per year! The Chevrolet Volt is calculated to cost about $600 a year and the Cheverolet Cruze about $1600 a year or a savings of about a $1000 a year. The other factors that need to be considered are the original cost to purchase these vehicles after government subsidies are include must also be compared. The electric and hybrid car costs more than the traditional gasoline powered cars due to the economies of scale. There are hundreds of thousands of them being manufactured every year. It will be several years before you break even on the cost of the car with the decreased operating costs. The other two important factors to consider is how well they hold their value when it comes time to trade or sell them and what the long term maintenance costs will be when you take into account the batteries which must be replaced at some point. The jury is still out on these numbers. Consumer ratings for electric cars are at their very early stages since they have really not been on the market that long and consumers have a skewed view of electric cars in general for two reasons. First the pure electric cars take a long time to charge and they do not go that far on a full battery charge to begin with. Secondly they are still very expensive compared to their counterparts in the gasoline side and the price of these cars eat up any money you might save on the consumption side. However we expect that hybrid and all electric cars are here to stay and it is just a matter of time until the manufacturers figure out some of the kinks in these cars charging and longevity issues. Once they become mass produced, the price of electric cars will also come down a great deal as well. The range problem is a bit more difficult. If you place a larger battery in the car, the price goes up, but it also still takes a relatively long time to recharge the car’s battery. A case can be made for a family with two cars to have one all electric car and the other a hybrid or a regular gasoline car. The gasoline car would be used for long trips, while the all electric car would be used for all of the short city trips which they are more than adequate for in terms of distance that can be supported by the batteries. Short trips around the city are notoriously bad for gas mileage with all of the stops and starts. A gasoline car that gets 30 miles to the gallon on the highway would be lucky to get 20 miles to the gallon in the city. This is a perfect situation for the all electric car and provides a maximum savings opportunity. When it comes to rating cars, the consumer will consider the following items as part of their comparison of any car really. These factors are centered around practical issues which are important to their lifestyle and their personal economics. Driving range on a charge – this has to be one of the most important factors. Will it take you where you want to go on a daily basis without needing a recharge. It must last until the end of the day when you make it home. If it will not, what is the backup plan. Hybrids have gasoline engines to take over when the batteries run low. However all electrics must be recharged before they go further when the battery runs down. Passenger carrying capacity – how many people will it carry and will you be able to handle the groceries, the kids and all of the sports equipment that many families have to deal with. This is a very personal life style item and one to be considered carefully. Price – right now most hybrids and electric vehicles are carrying a hefty price tag. This is partly due to development cost recovery and partly due to the cost of the battery. These prices are sometimes subsidized by local governments in an effort to help this fledgling industry move along. However in most cases you are still going to pay a premiums for these cars. Will you save enough to provide you with a short of enough payback to cover the extra cost? Availability – finally availability is improving. However they are not available in all markets. That means that mechanics etc are also not trained and available to support these cars. Check this issue out carefully before you make a purchase. You may even want to inquire how many mechanics they have trained. “How long they have been working on these types of cars before you make your purchase. 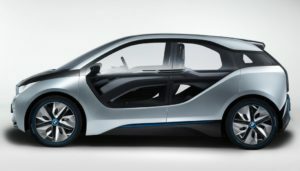 The BMW I3 Electric Vehicle is planned to go on sale next year. It is the first electric car to go into full-scale production from an established luxury automaker. Some people will be interested in this car because being green is the right thing to do. They want to drive an expensive car that is good on gasoline. They want to be part of the overall image of driving expensive cars that do not burn a lot of gas. However you are spending a lot of money on a car which you would be if you were buying a BMW. The last thing you should really worry about is the amount of gas that you are using. This is for image improvement only. Sure it is annoying that it costs a lot when you fill up at the pump. But so what you drive a really expensive car. Focus on an electric car for the masses instead of one for people who can afford expensive cars. At a price of 25,680 pounds th eBMW I3 develops 170 horsepower and 250 pounds of torque. It can reach from 0 to 62 miles per hour ins 7.2 seconds and has a top speed of 93 miles per hour. the range of this car is between 80 and 100 miles depending on how it is driven, hills etc. The BMW I3 comes with a fast charging wall box that can recharge the batteries up to 80 % in 3 hours. As with all electric vehicles that only have electric power, they still take a long time to recharge. Charging using a regular wall socket can take up to 10 hours which is a very long time. A range extender engine can be added which is a gasoline engine that runs a generator to charge up the batteries while on the go. You can extend the range up to 180 miles by using the range extender. Better, but still not great when compared to traditional gasoline powered engines. We will add more about this new car as more information becomes available and we get some reaction from readers. For more posts about electric vehicles, click here.